In order for dental implants to be successful and long-lasting, it is imperative there be quality and enough quantity of jawbone to which the implant will be attached. If bone loss has occurred due to periodontal disease or an injury, a sinus augmentation can be performed to raise the sinus floor and allow for new bone growth. 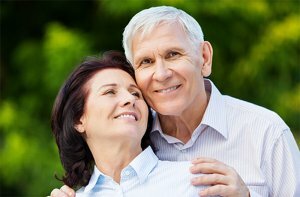 One of the most common bone grafting procedures for those with bone loss in the upper jaw is a Sinus Lift. The intended outcome of the procedure is to grow bone in the floor of the maxillary sinus just above the bony ridge of the gum line that anchors the teeth in the upper jaw. Dental implants can then be placed and secured into this new bone growth. A sinus lift is done when there is not enough bone height in the upper jaw, or the sinuses are too close to the jaw, for dental implants to be placed. There are several reasons for this. •	Many people who have lost teeth in their upper jaw, particularly the back teeth, or molars, do not have enough bone for implants to be placed. •	Bone may have been lost because of periodontal disease. •	Tooth loss may have led to a loss of bone as well. Once teeth are gone, bone begins to be resorbed. If teeth have been missing for a long time, there often is not enough bone left to place implants. •	The maxillary sinus may be too close to the upper jaw for implants to be placed. •	The shape and the size of this sinus varies from person to person. The sinus also can get larger as you age. Typically a small incision is made on the molar or premolar region to expose the jawbone. Next a small opening is cut into the bone allowing the surgeon to push the membrane lining and the sinus upward and the space is then filled with bone grafting material. The incision is the closed with stitches and the healing process begins. Over the next several months of healing, the bone grafting material becomes part of the jaw and dental implants can then be placed in this new sinus bone. Many patients have experienced an improved quality of life after replacing missing teeth with dental implants. If you have suffered tooth loss, we can assess your needs and recommend the treatment or combination of treatments necessary to make you a candidate for dental implants. Please contact Prestige Oral Surgery at 732-297-7000.